System operators need to be informed about the level of their silos for resource management. The fill level of many different materials, such as plastic pellets, sand and gravel, road salt etc. need to be detected. Thanks to most innovative laser technology, the EDS-C distance sensor measures reliably on a variety of materials. The EDS-C model laser measures with millimeter precision independent of color and material. This means, that the laser distance sensor will measure reliably on white or colored plastic granulate, as well as on dry or wet gravel. 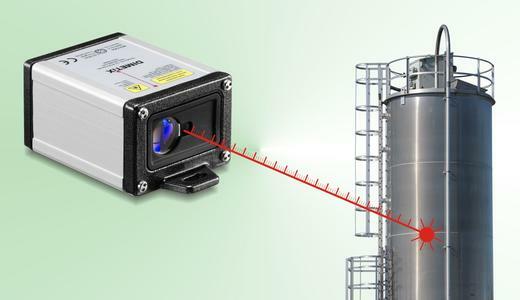 Level measurements of distances up to 30m are possible. The EDS-C Distance-Sensor consists of a rugged, IP65 standard, aluminum case. The current feed works via a 5-pin M12 sensor plug. A scalable analog output is provided for the data output.